A trio of screen suppliers are reportedly gearing up to begin production of 4-inch displays for Apple's next iPhone as soon as next month, putting the device on track for a fall launch. LG Display, Sharp, and Japan Display Inc. have all been tapped to build the new, larger screens for Apple, and they will be built as quickly as June, according to Reuters. That means production of the sixth-generation iPhone could begin as soon as August  just in time for the anticipated fall launch. The details corroborate an earlier report from The Wall Street Journal, which also cited anonymous sources in claiming that Apple has begun ordering screens at least 4 inches in size for its next iPhone. However, the Journal's report did not specify an iPhone production timeline of August, while those who spoke with Reuters gave more specifics on the manufacturing window for the next iPhone. Both reports did not include Samsung among the list of potential suppliers for the display of the next iPhone. Though they are fierce rivals in the technology industry, Samsung is also a key supplier of Apple, and was the sole supplier of high-resolution Retina displays for the third-generation iPad at launch. LG and Sharp have provided screens for Apple in the past, but the inclusion of Japan Display Inc. would be a new partnership for the company. Japan Display Inc. is a new creation brokered by the Japanese government that combined the display production operations of three separate companies. All three screen suppliers are said to be "likely" to receive production orders from Apple, setting them up to begin building the 4-inch displays in June. 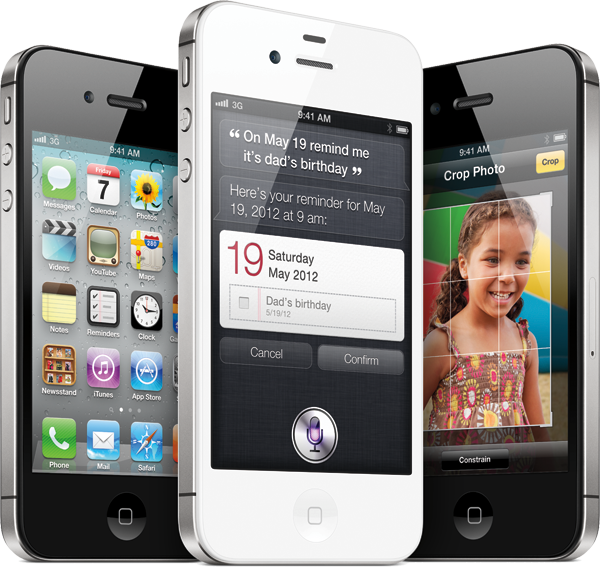 The next iPhone is expected to launch about a year after the debut of the iPhone 4S, which hit the market in October of 2011. Neither of Wednesday's reports offered any specifics on the screen of the next iPhone aside from a 4-inch diagonal size. Earlier reports have suggested the next iPhone will be the same width as the previous-generation models that featured a 3.5-inch screen, which would mean the 4-inch display would bring about a new aspect ratio. Apple's apparent move toward a larger iPhone display has been portrayed as a "competitive response" to the Samsung Galaxy S III, unveiled earlier this month. Samsung's new flagship smartphone features a 4.8-inch AMOLED screen that is 1.3 inches larger than the iPhone 4S.